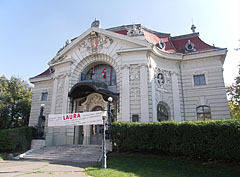 Built between 1893-1897, designed by Ödön Lechner and Gyula Pártos. 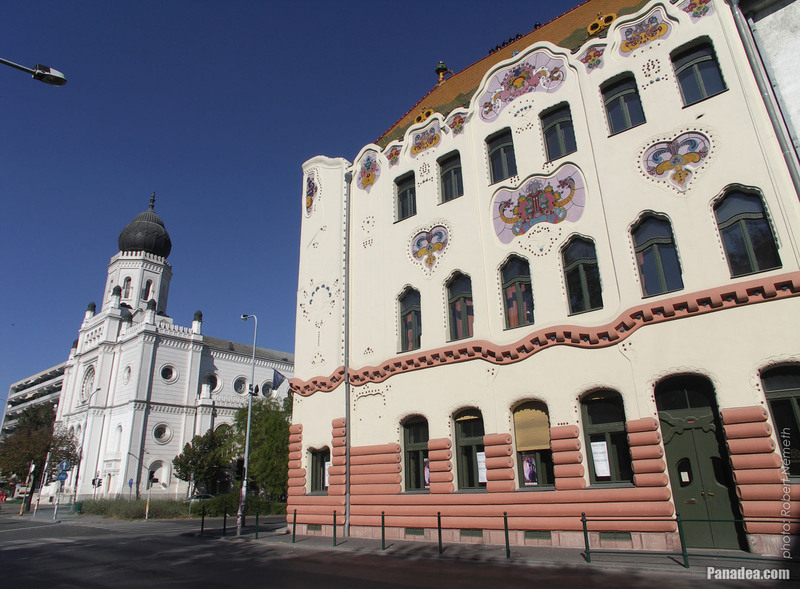 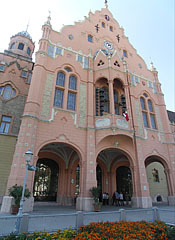 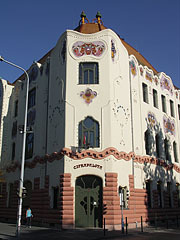 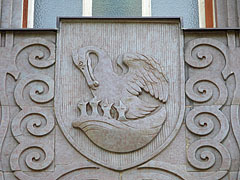 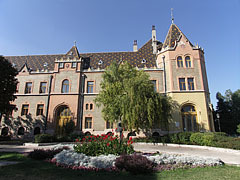 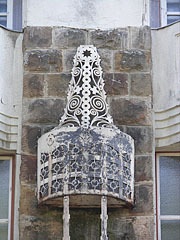 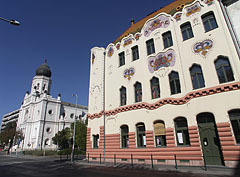 It was built between 1909-1912, designed by Flóris Korb Flóris and Kálmán Giergl. 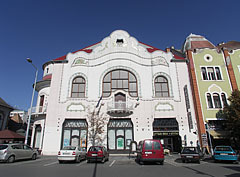 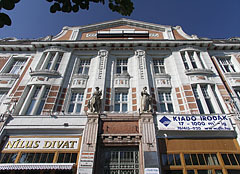 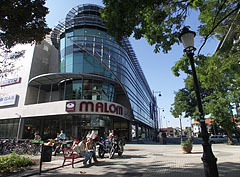 The building was designed by Géza Márkus, built in 1902. 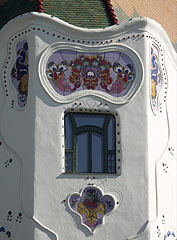 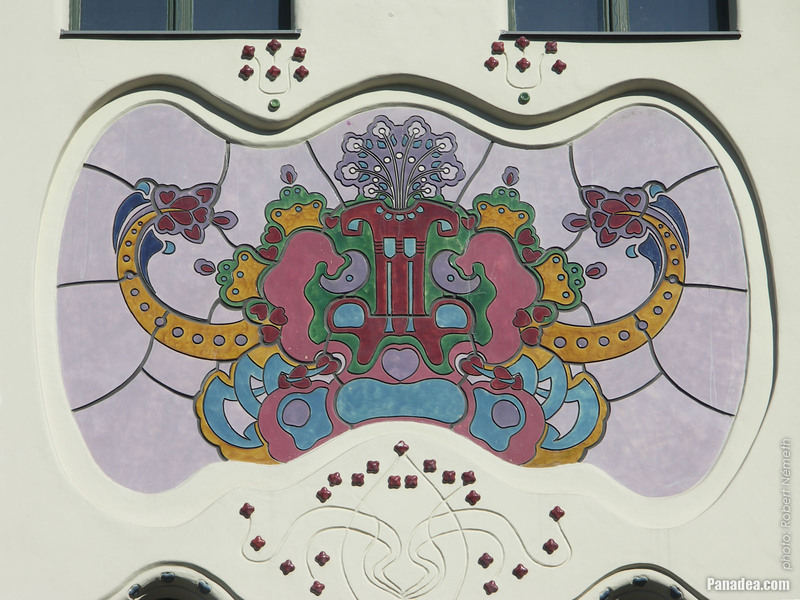 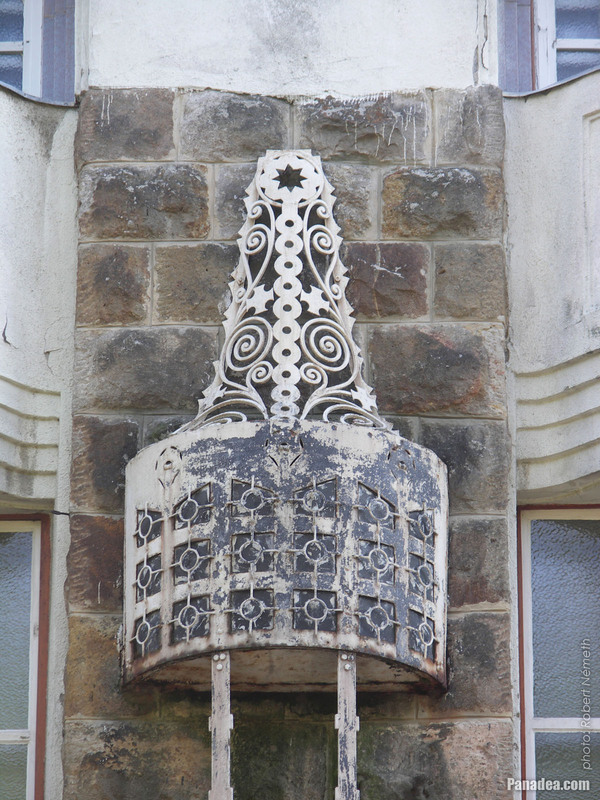 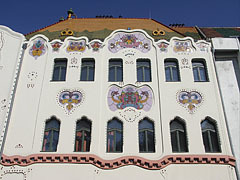 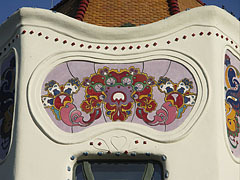 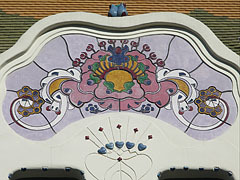 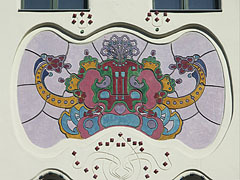 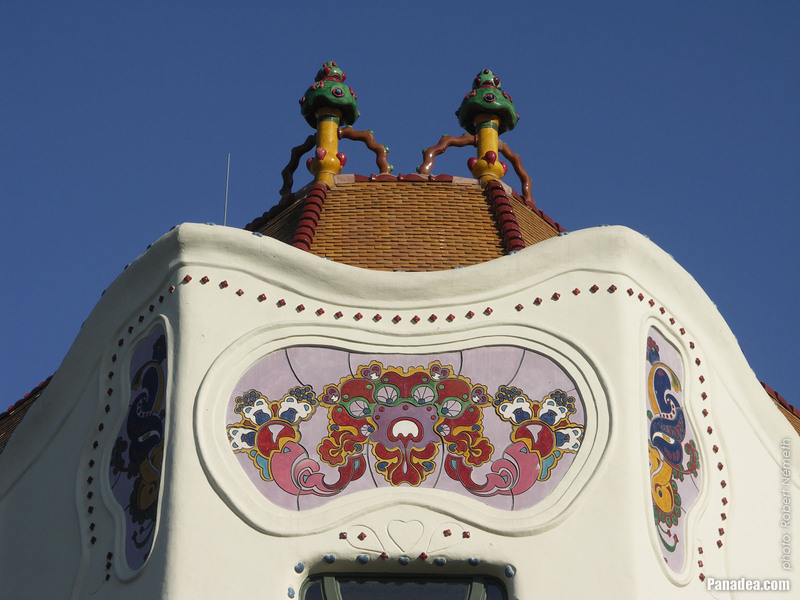 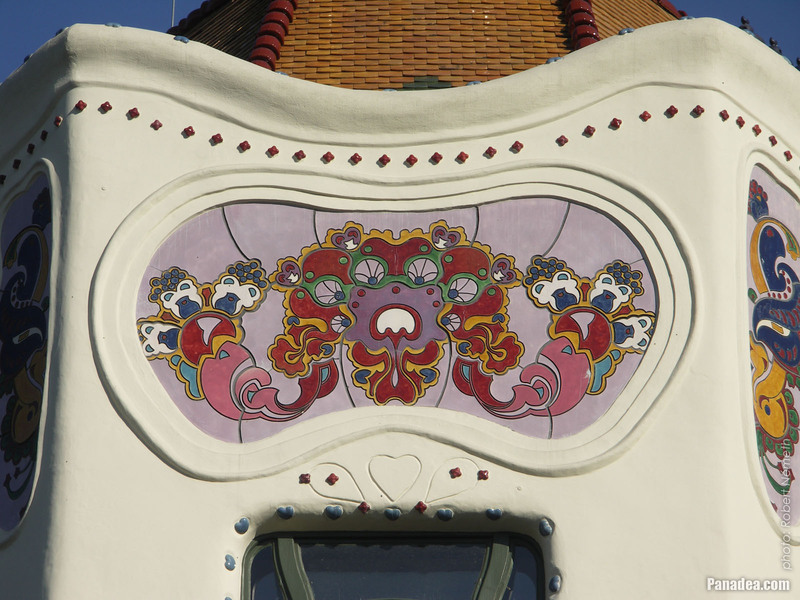 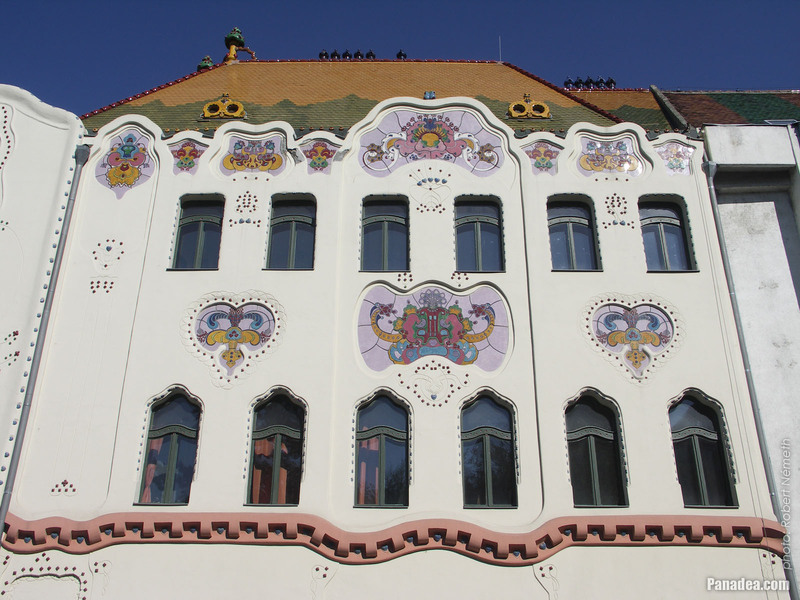 The similar style that was represented by Ödön Lechner Hungarian architect. 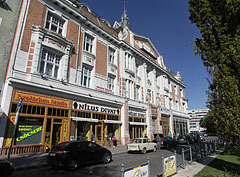 Earlier the building has apartments, shops and a casino, today it is a museum. 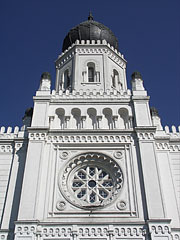 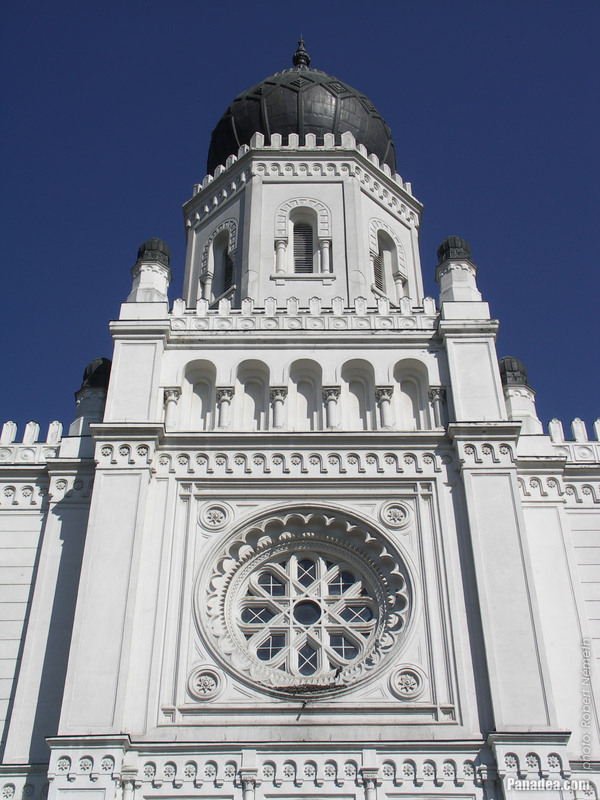 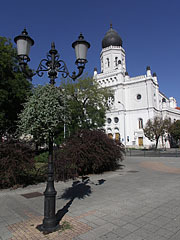 The current dome was built in 1911, after the original and slightly different shaped one was damaged by an earthquake. This is presumably the coat of arms of the local Reformed Congregation. 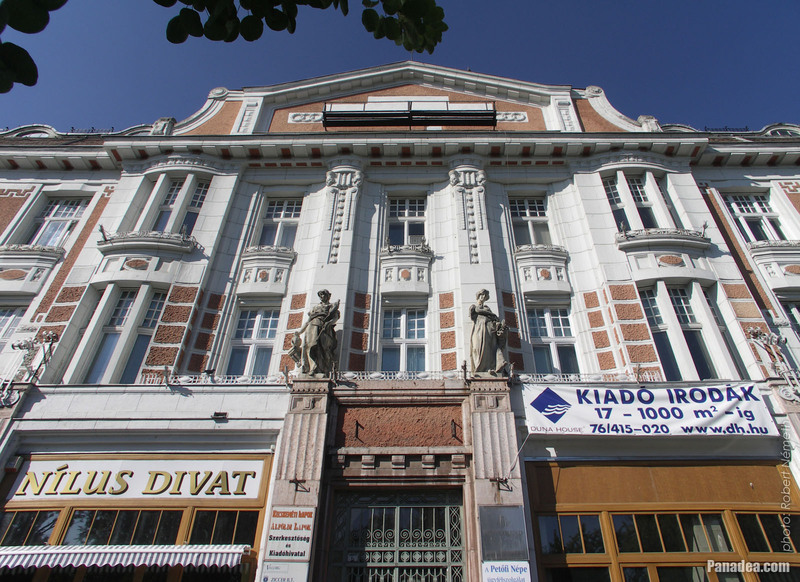 The influence of Károly Kós architect is clearly visible on the building, also because he was the master of the designer of this building. 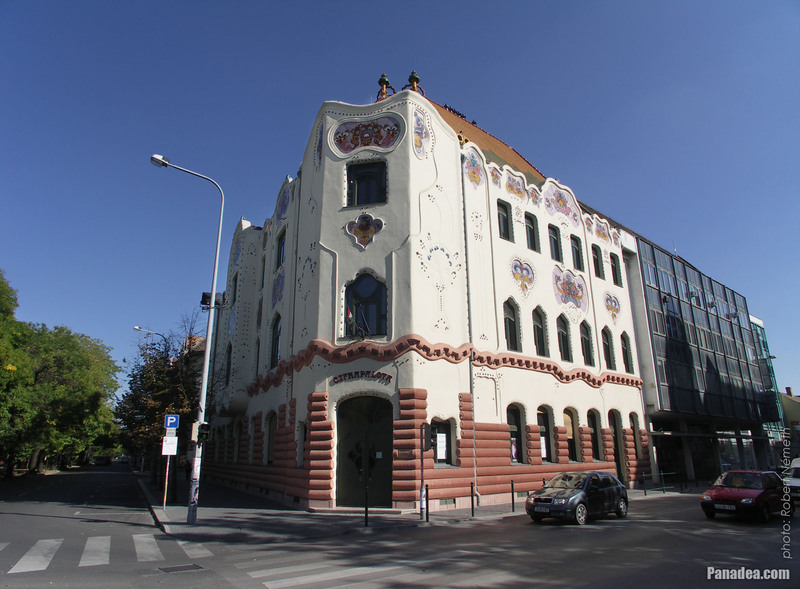 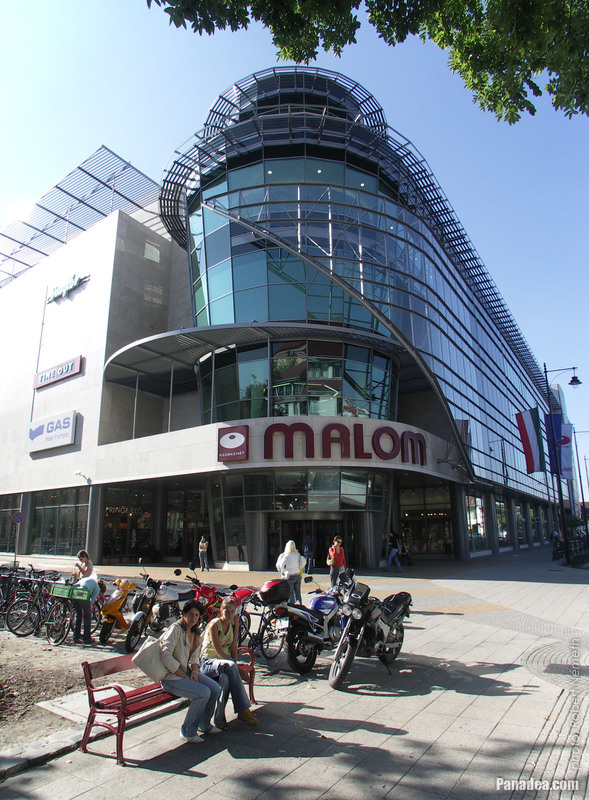 Originally it was the building of the Commercial Industrial Credit Institution and People's Bank of Kecskemét. 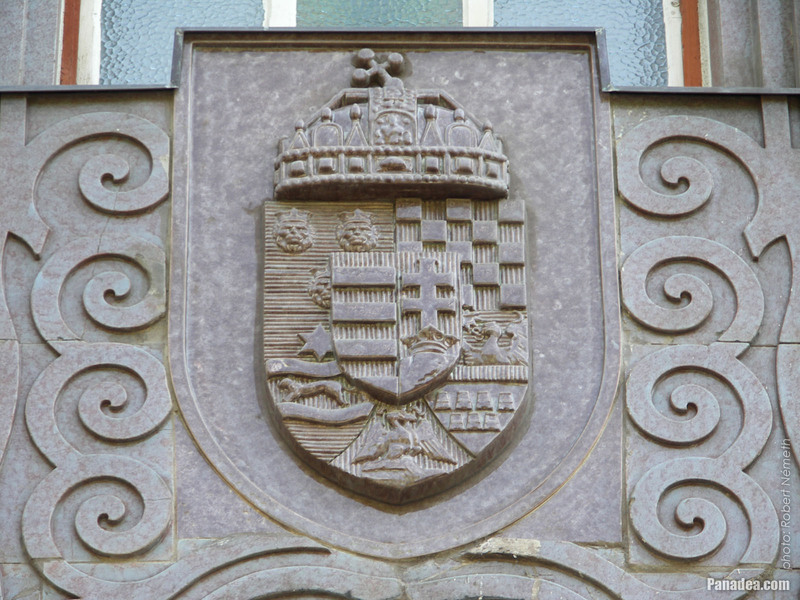 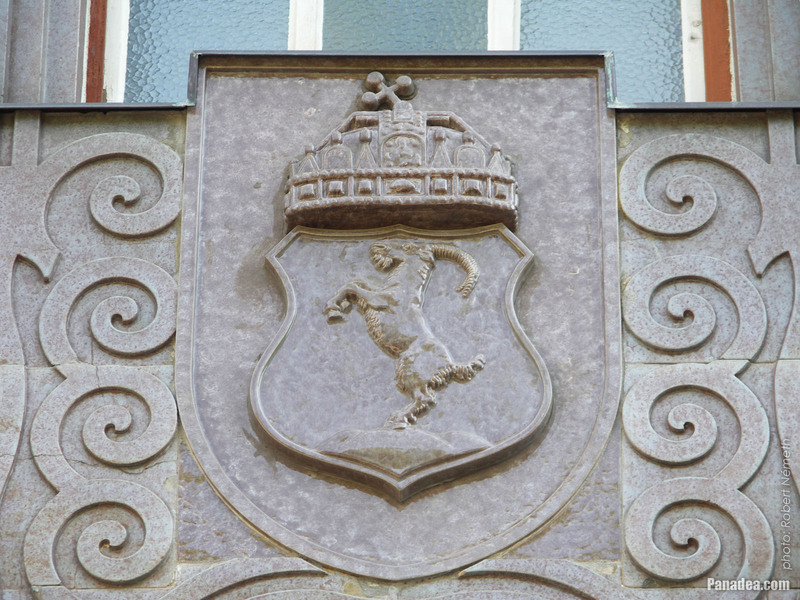 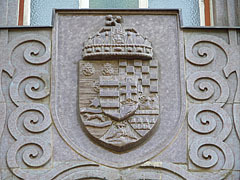 There are also the coat of arms of six towns of the county on it. 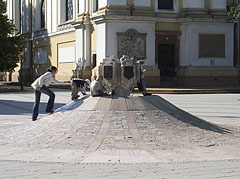 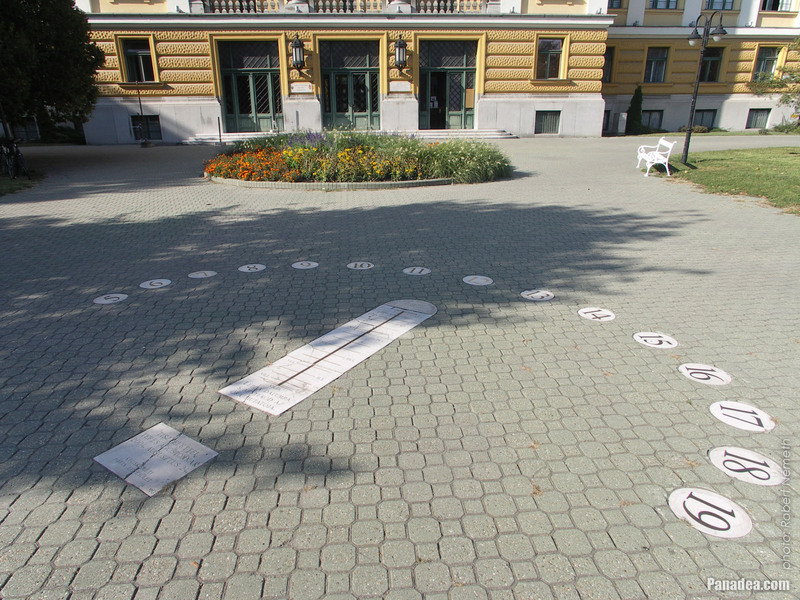 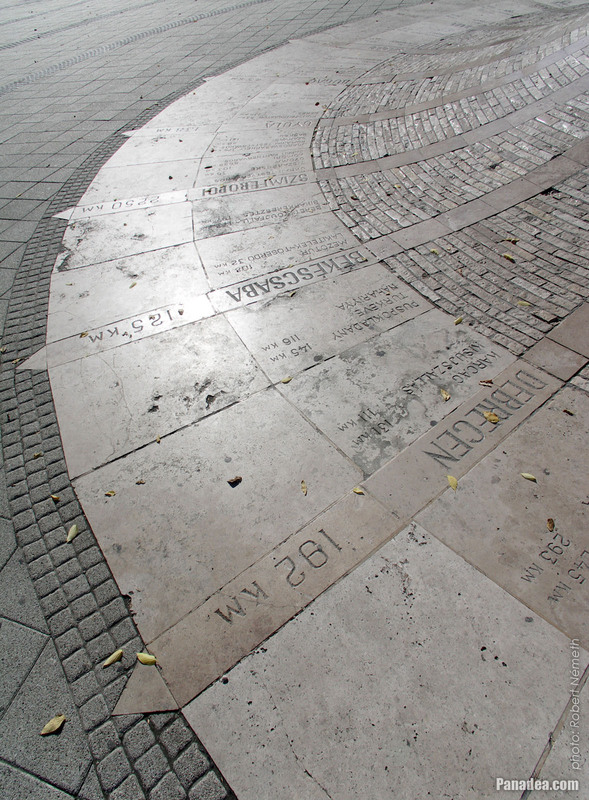 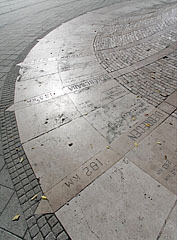 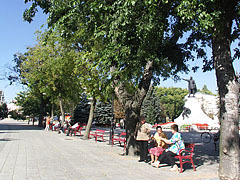 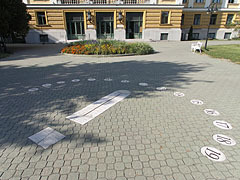 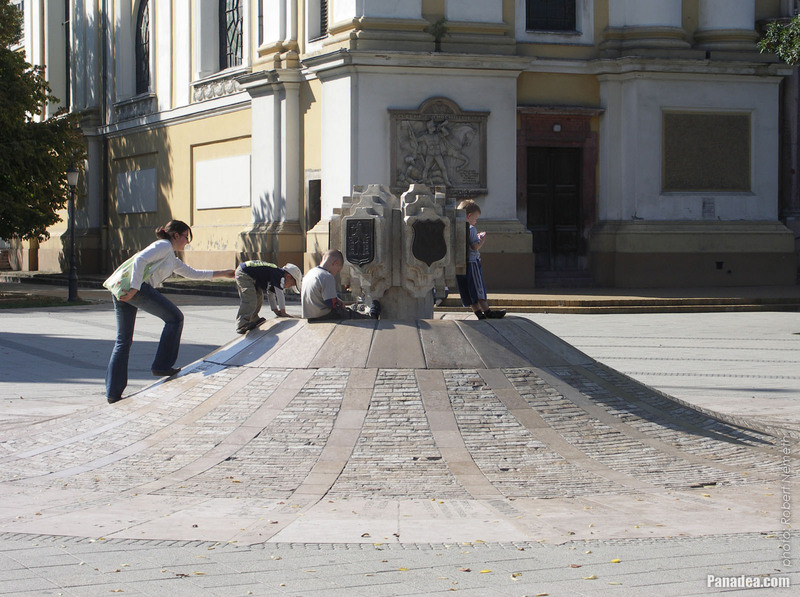 Is often called "zero kilometer stone", because there are distances and directions to some other cities carved into the pavement. 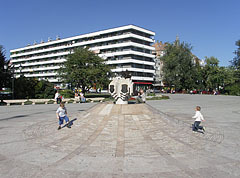 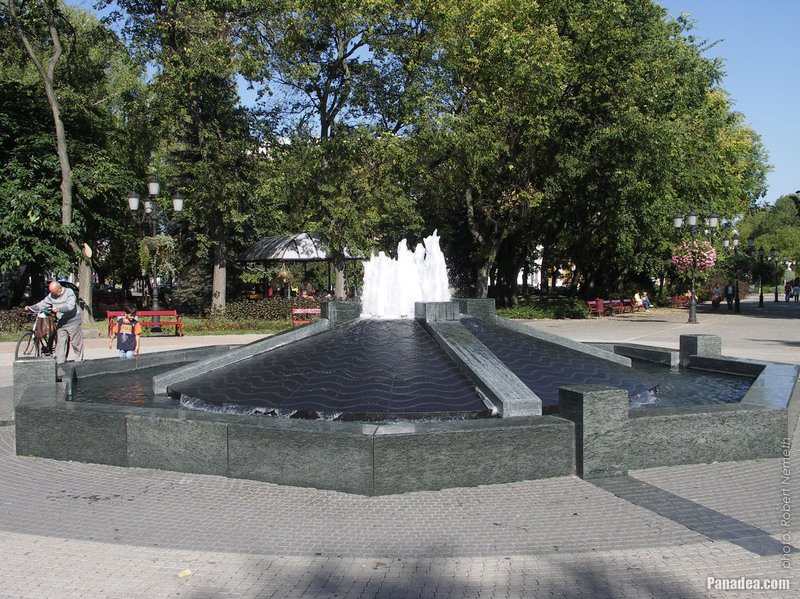 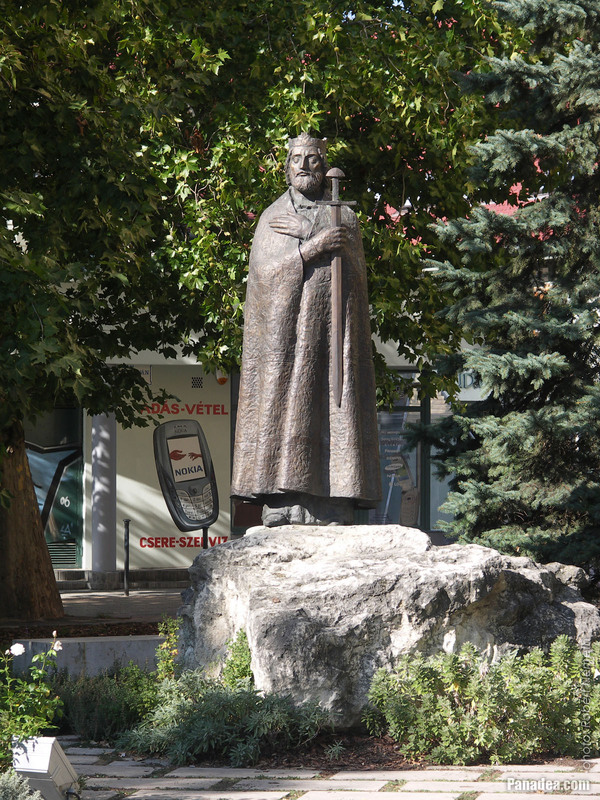 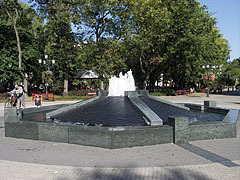 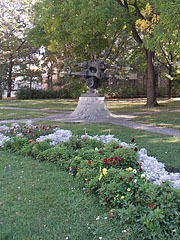 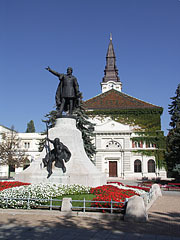 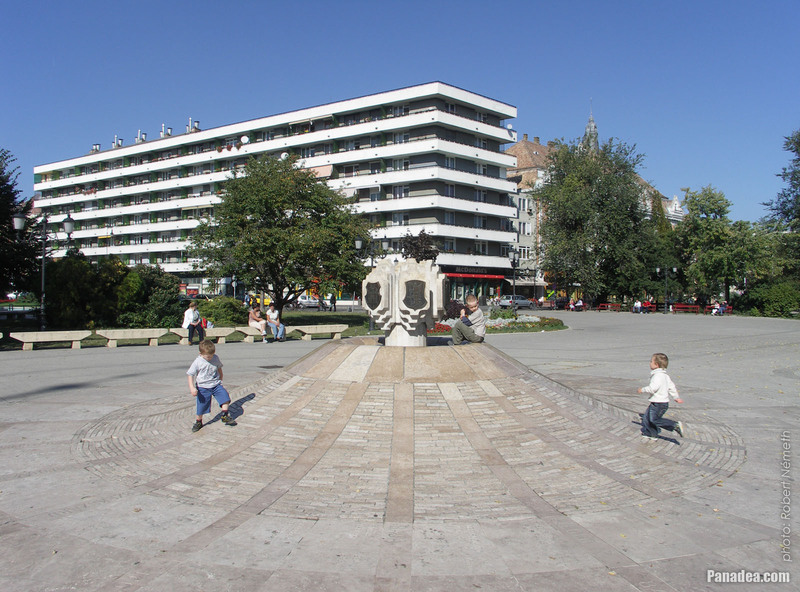 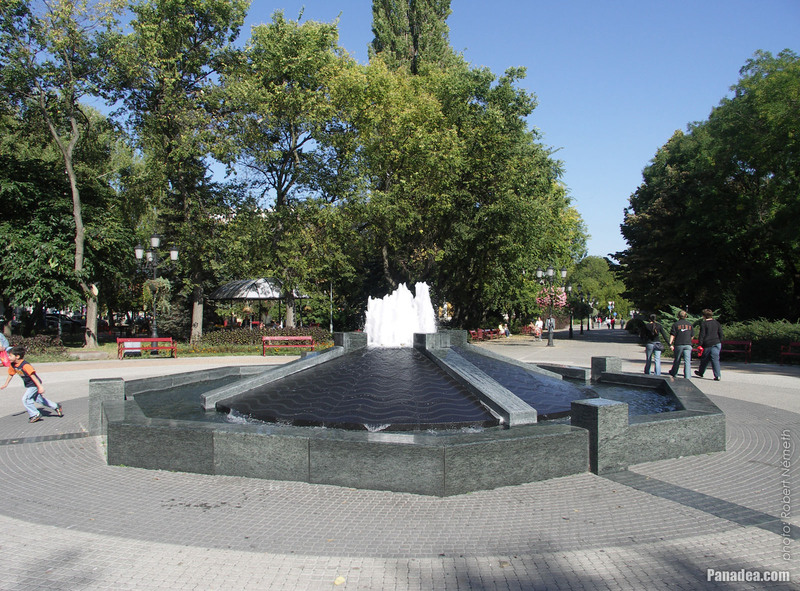 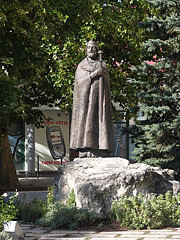 Created by sculptor Gusztáv Pálfy and architect Gábor Farkas in 1977 and 1984. 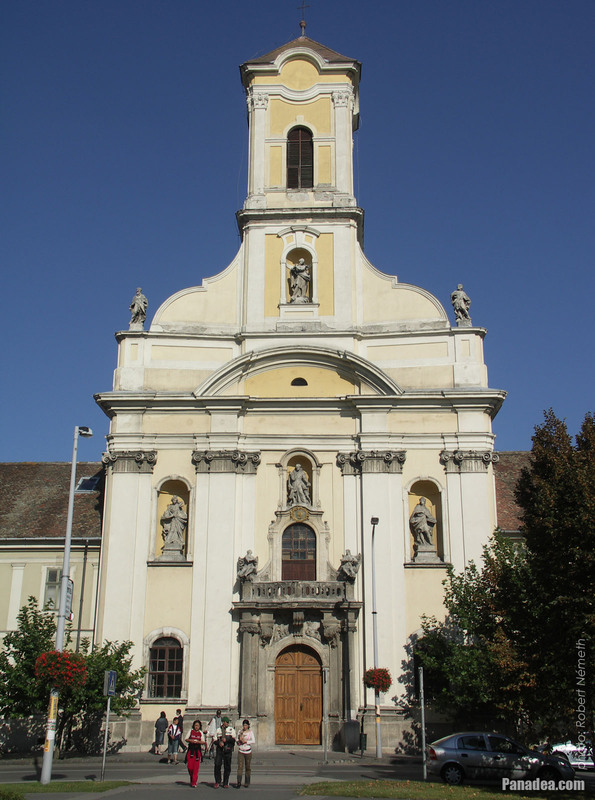 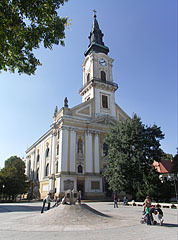 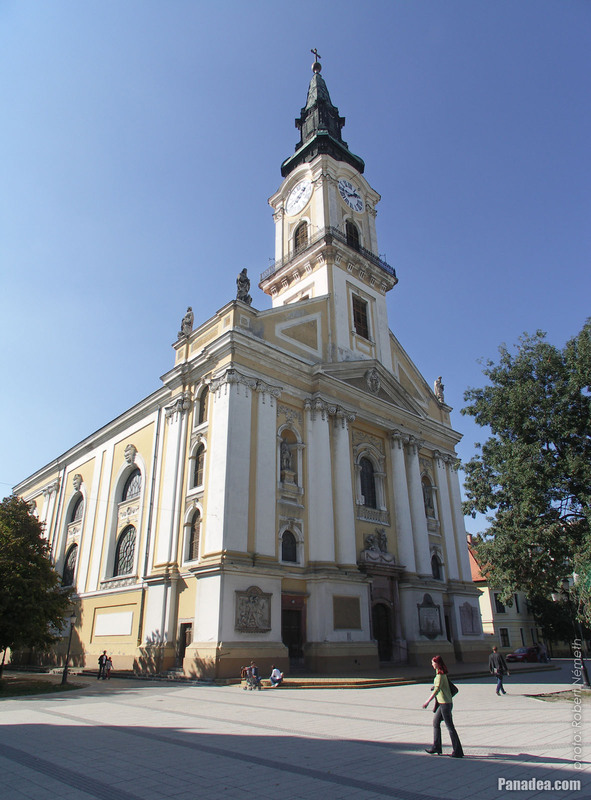 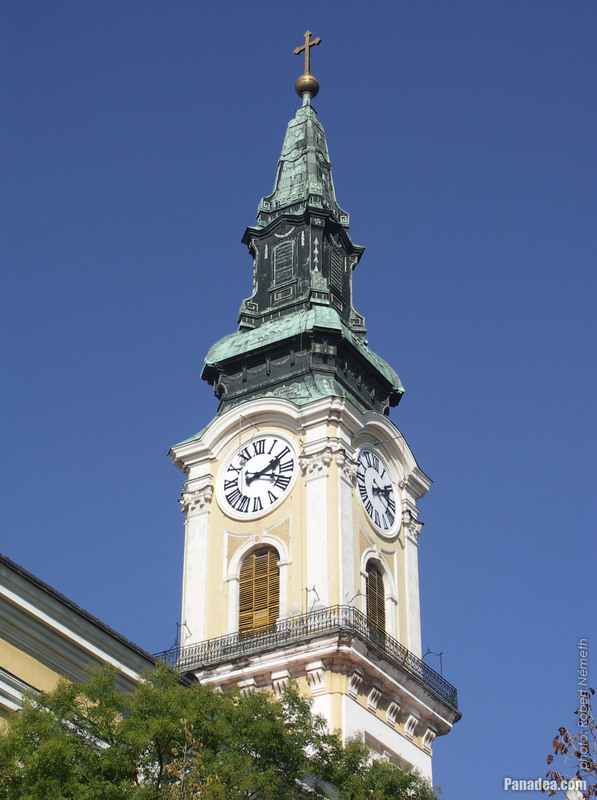 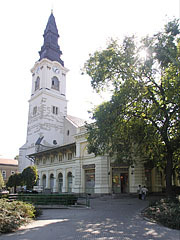 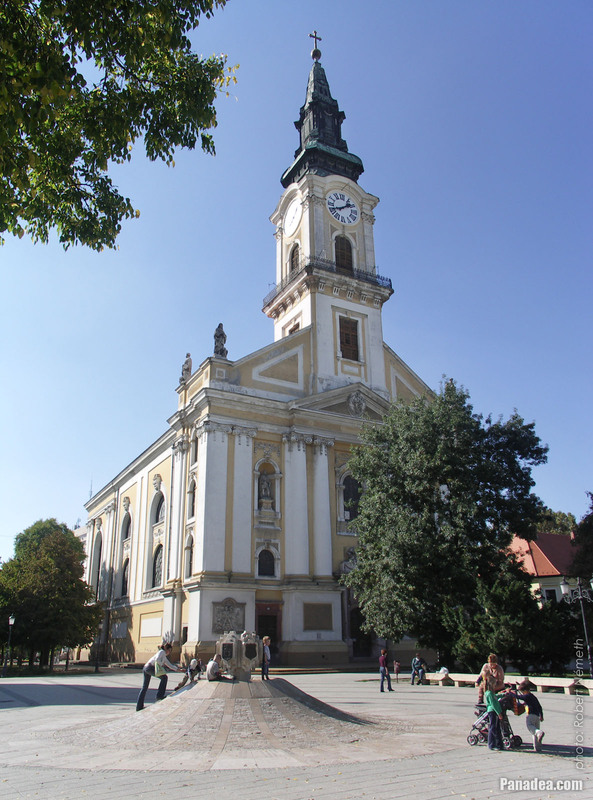 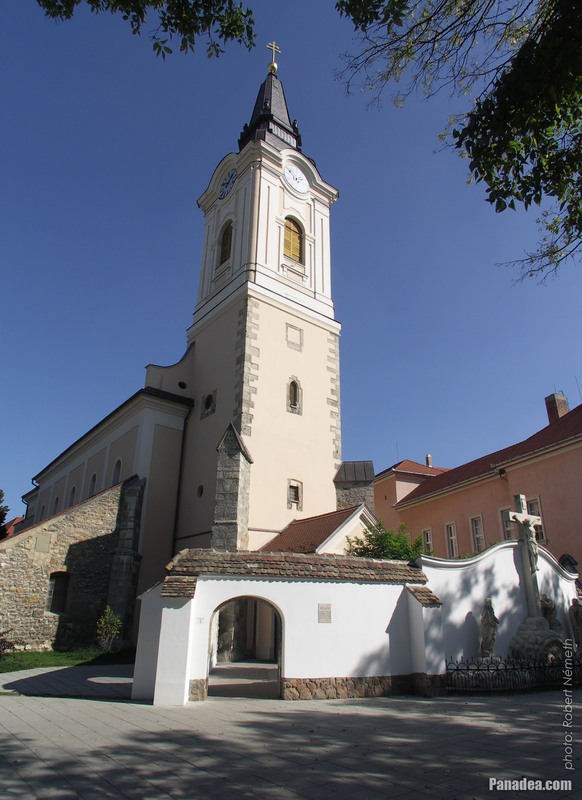 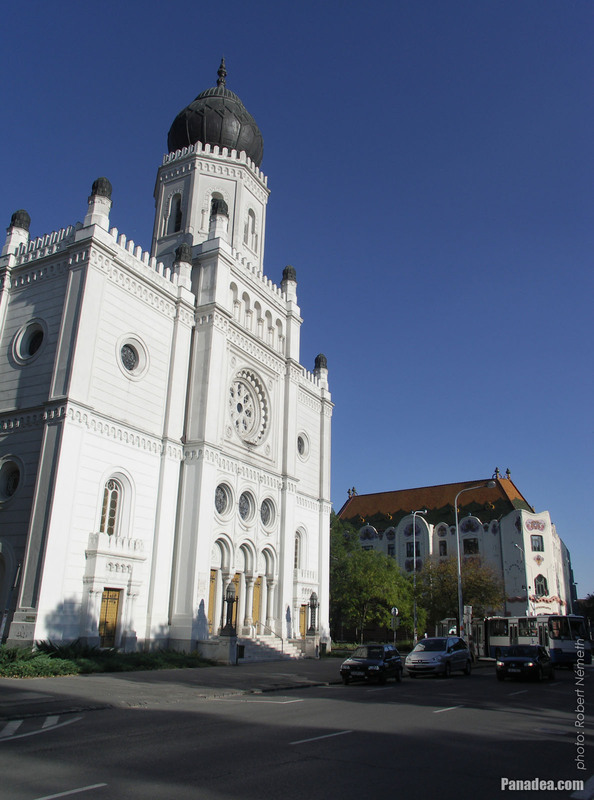 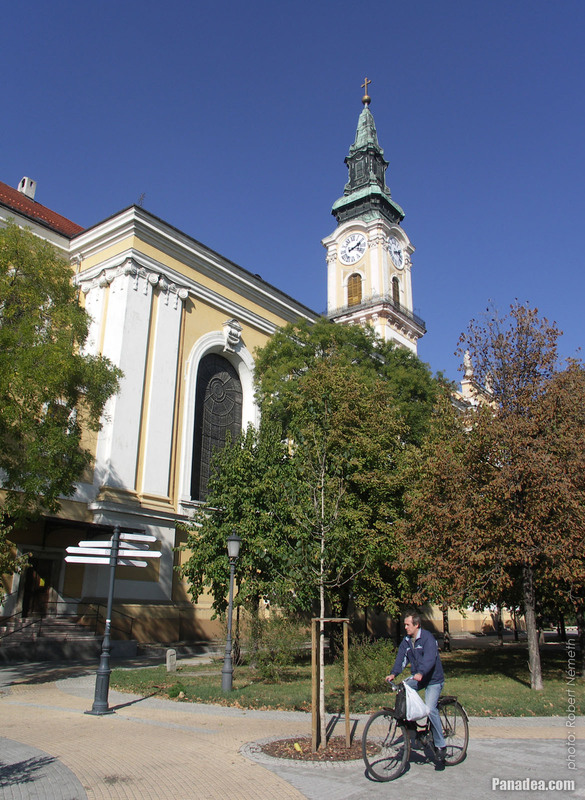 The late neoclassical baroque style Roman Catholic Great Church or "Nagytemplom"
The church was built between 1680-1684, and its baroque tower is from the late-18th-century. 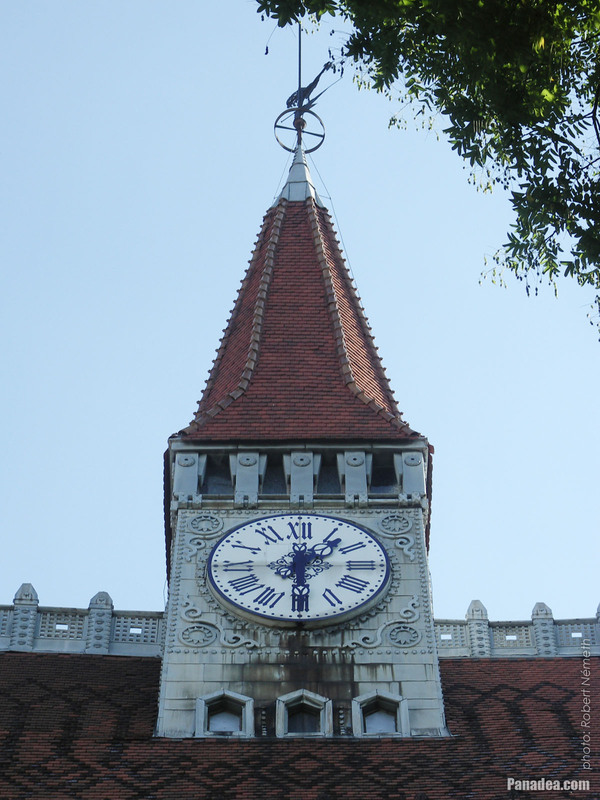 The tower clock was constructed in 1998. 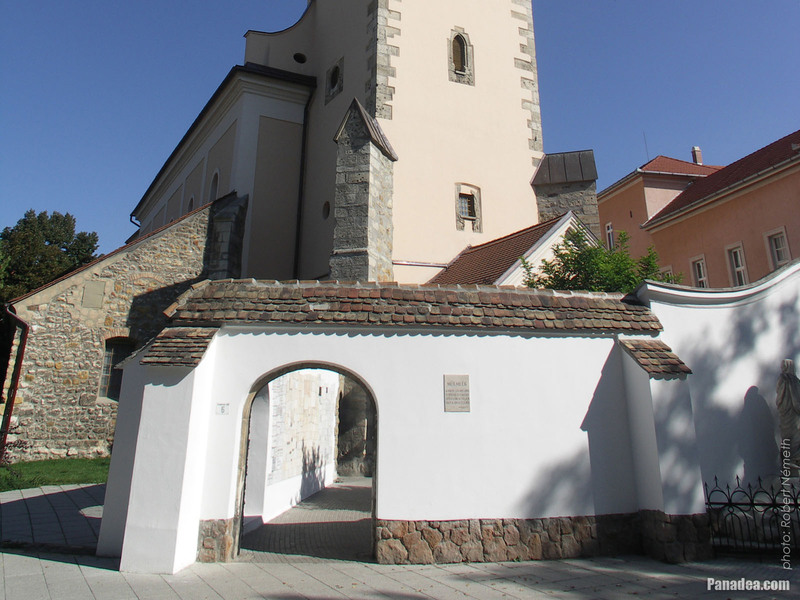 The church was built originally in the 1290s, now it is the oldest surviving building in the city. 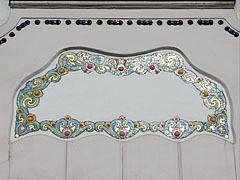 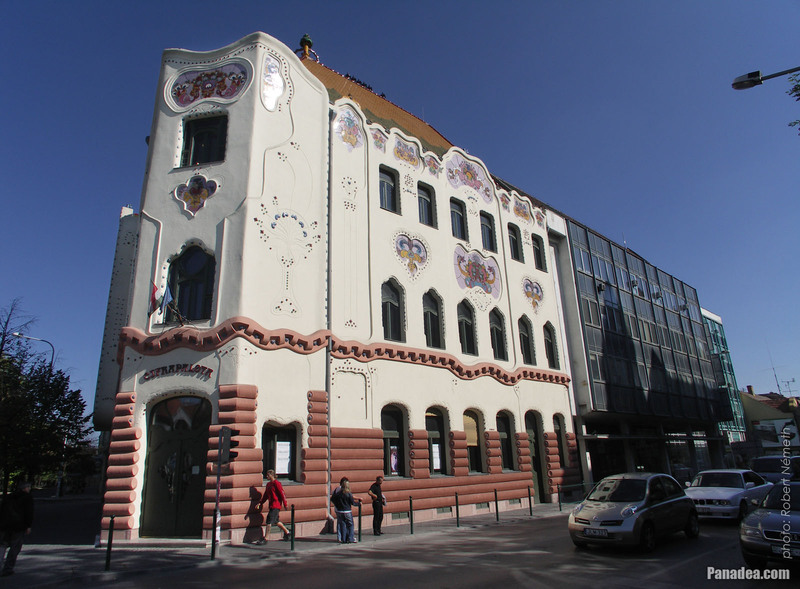 The theater was opened in 1896, designed by the Fellner & Helmer company from Vienna, the neo-baroque decorations were made by Heinrich Hausbeitner, also from Austria. 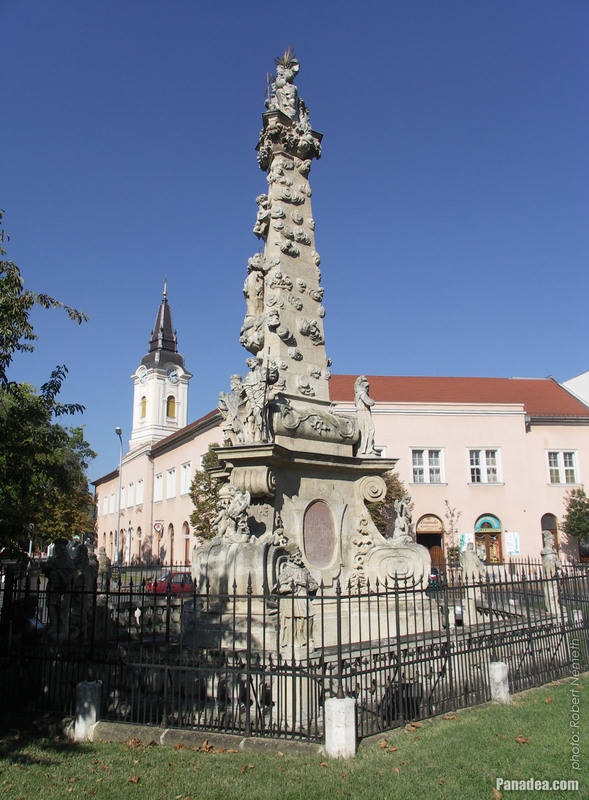 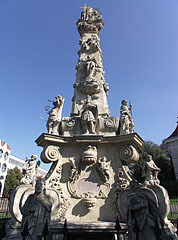 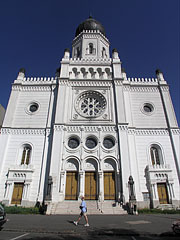 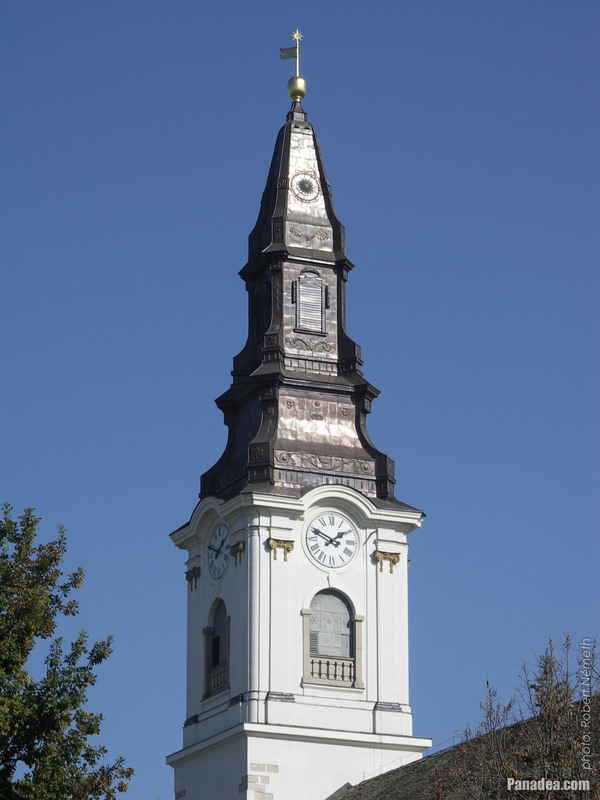 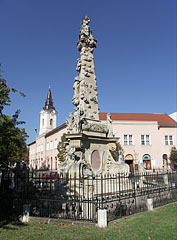 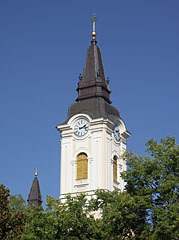 The current neoclassical late baroque raised spire was built in 1799. 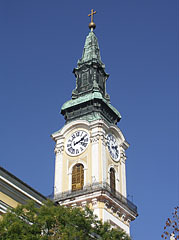 The cross on the top of its copperplate covered spire is at 73 meters high. 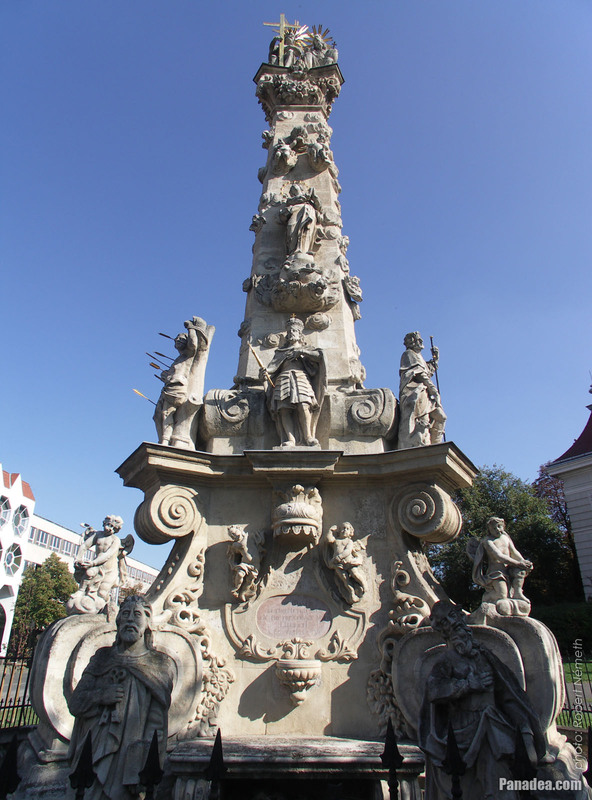 Built between 1729-1765 by the plans of András Mayerhoffer, and the building sculptures were made by Lipót Antal Conti between 1745-1748. 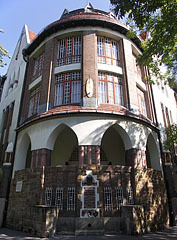 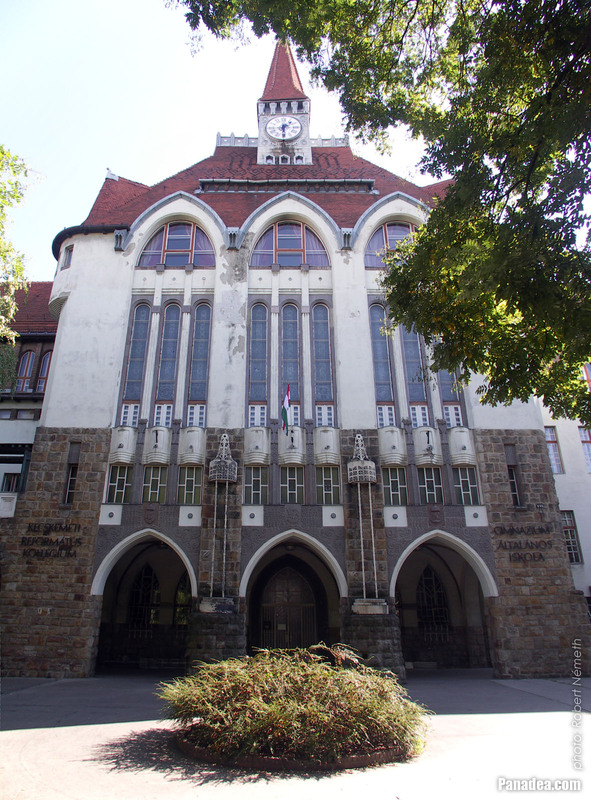 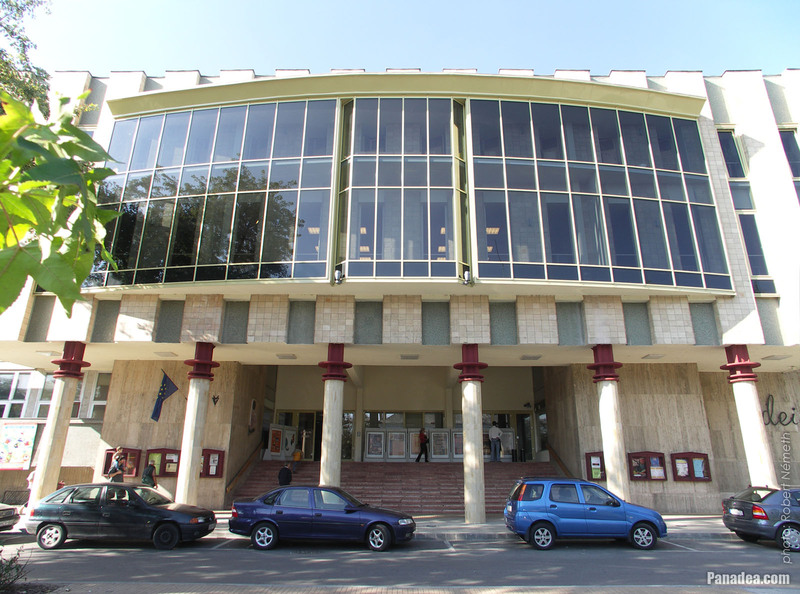 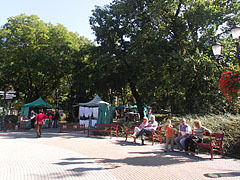 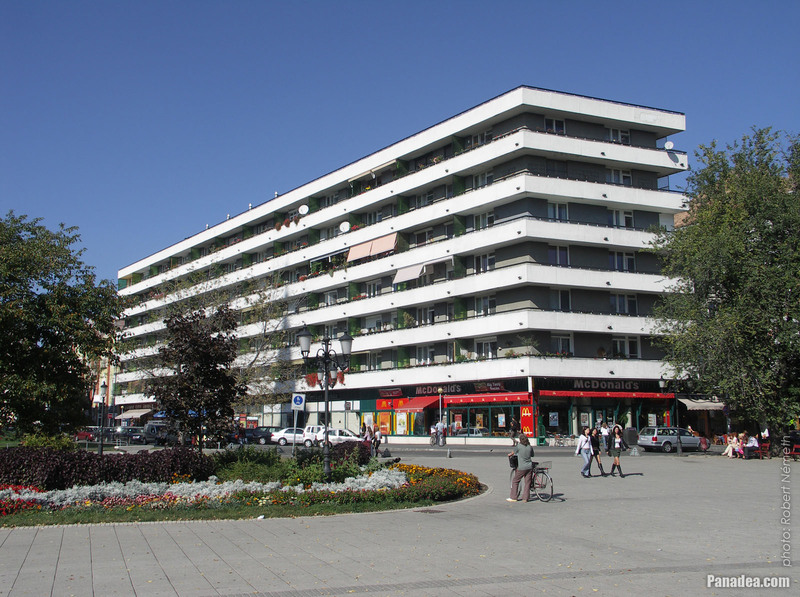 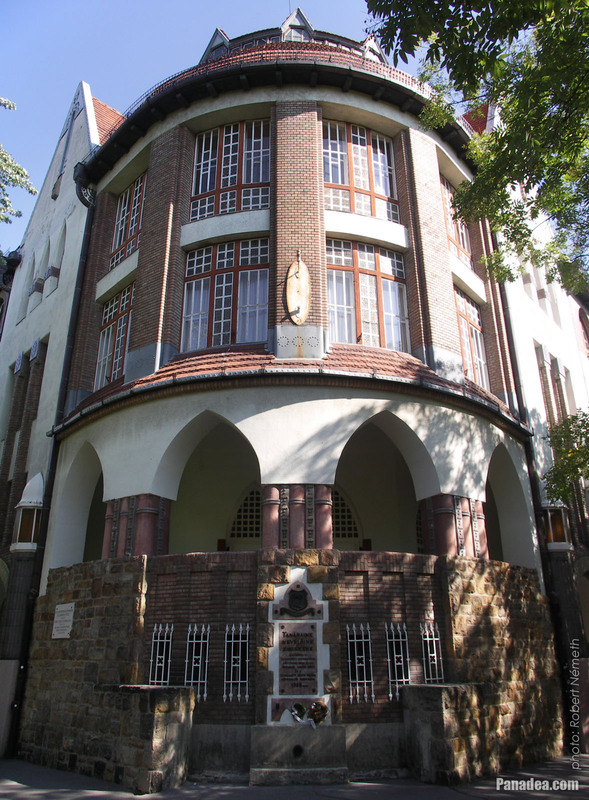 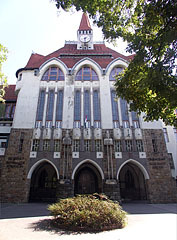 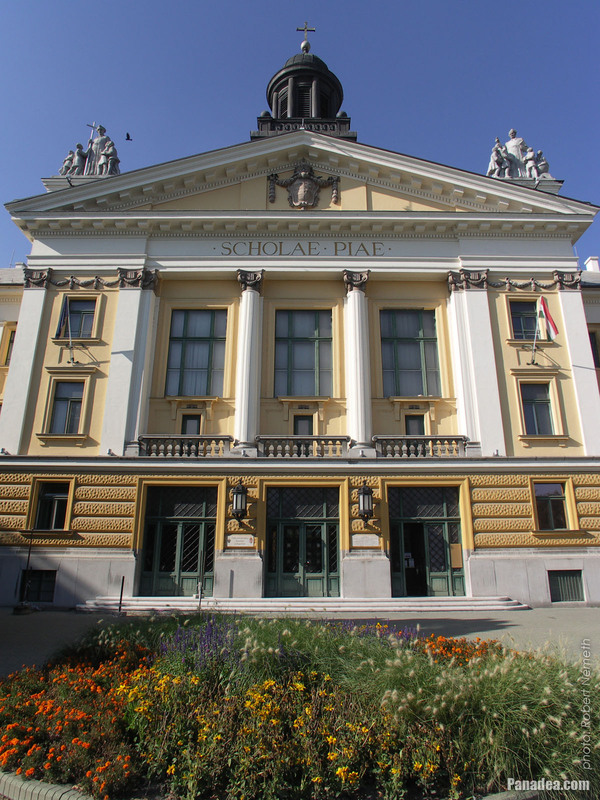 Built between 1930-1933, designed by dr. Dezső Hültl architect and university professor. 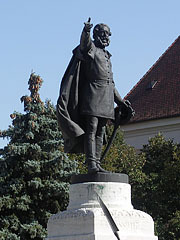 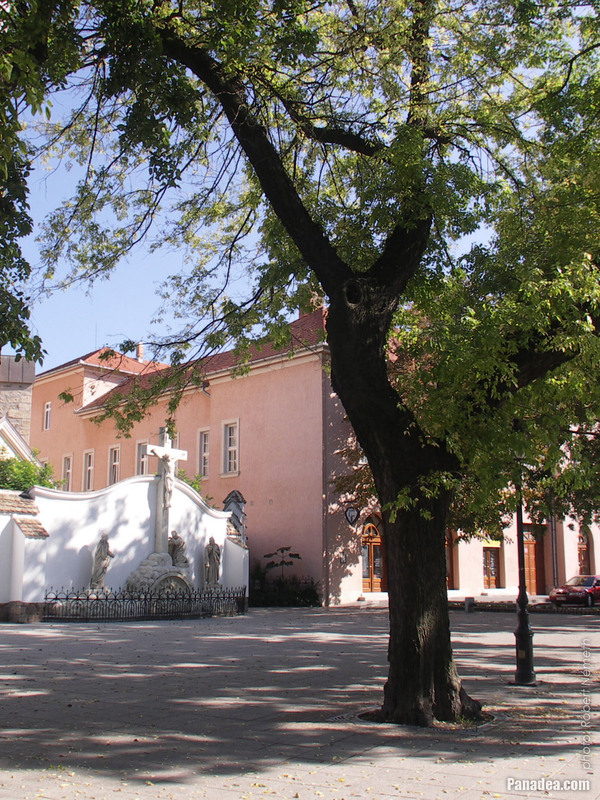 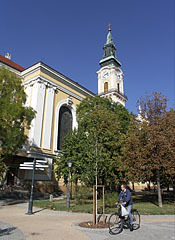 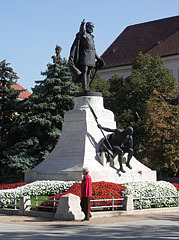 The institution was founded in 1714 by Count István Koháry. 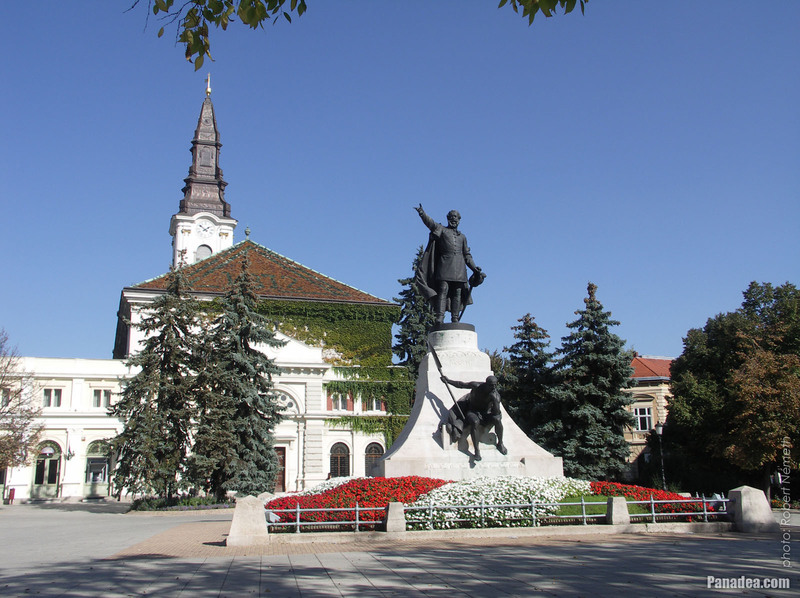 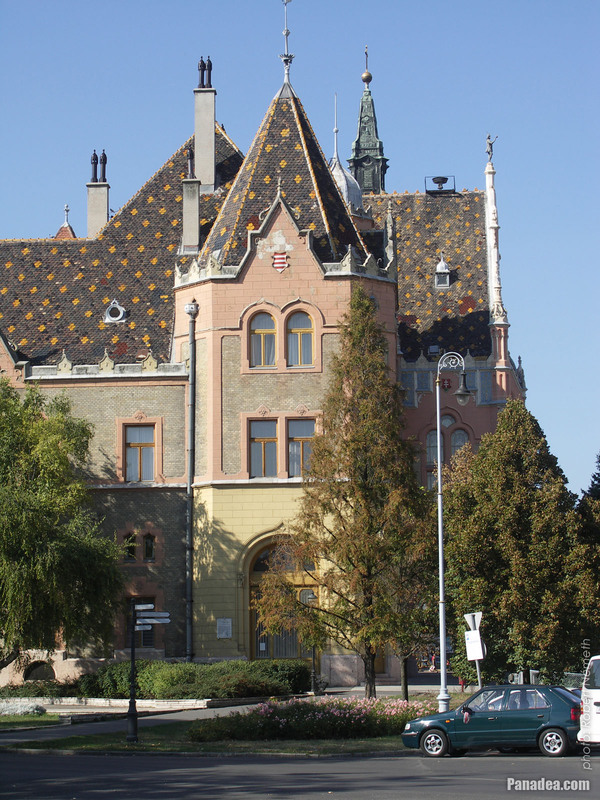 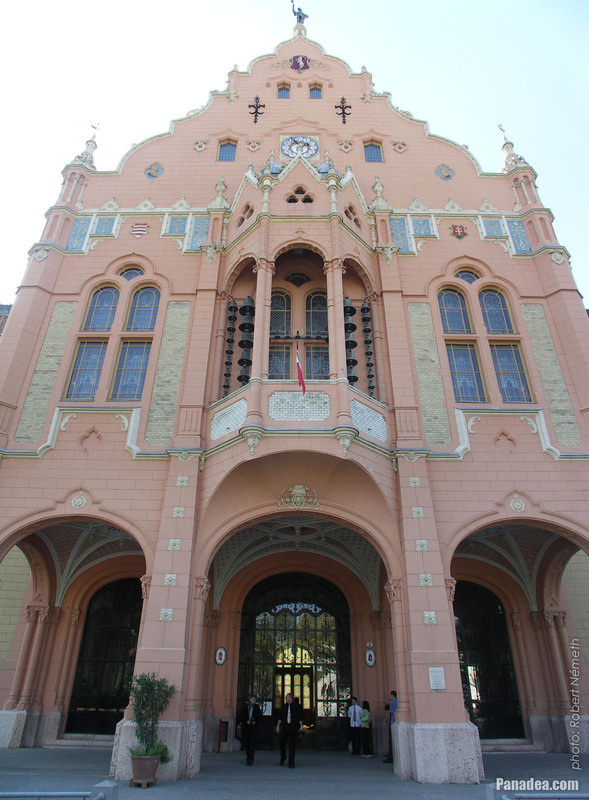 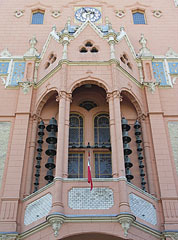 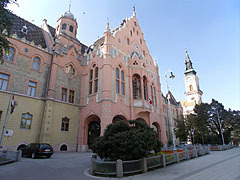 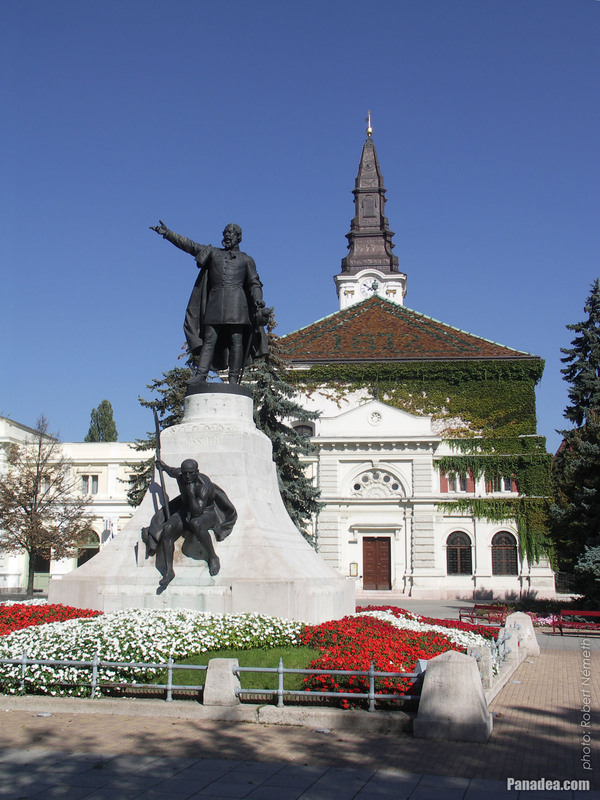 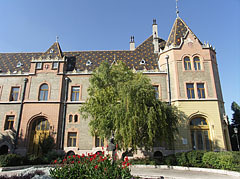 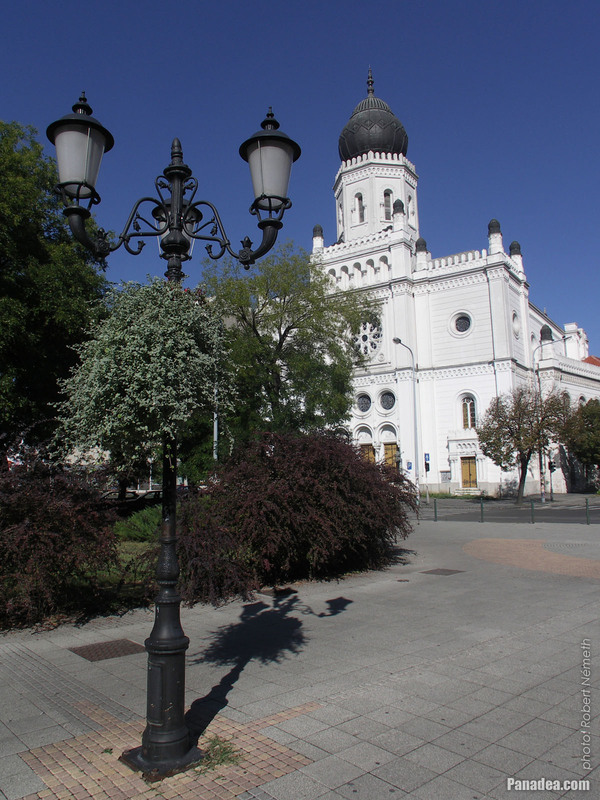 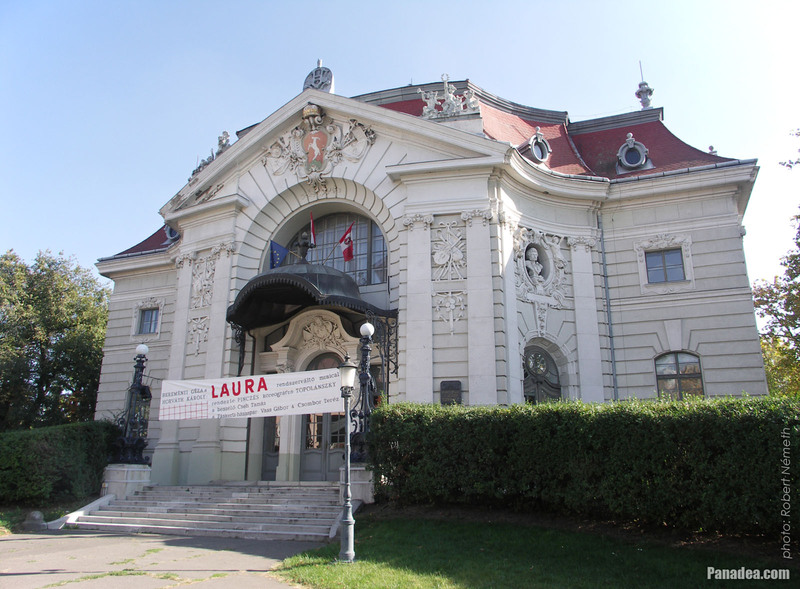 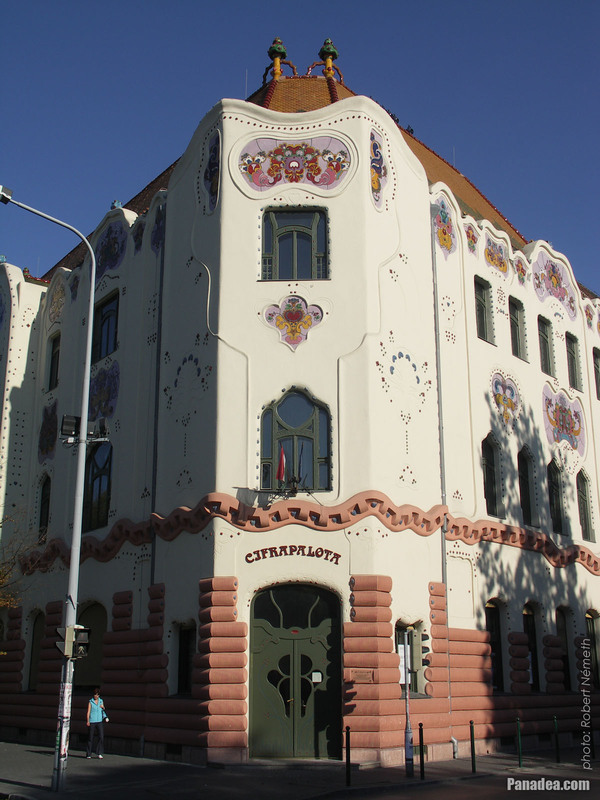 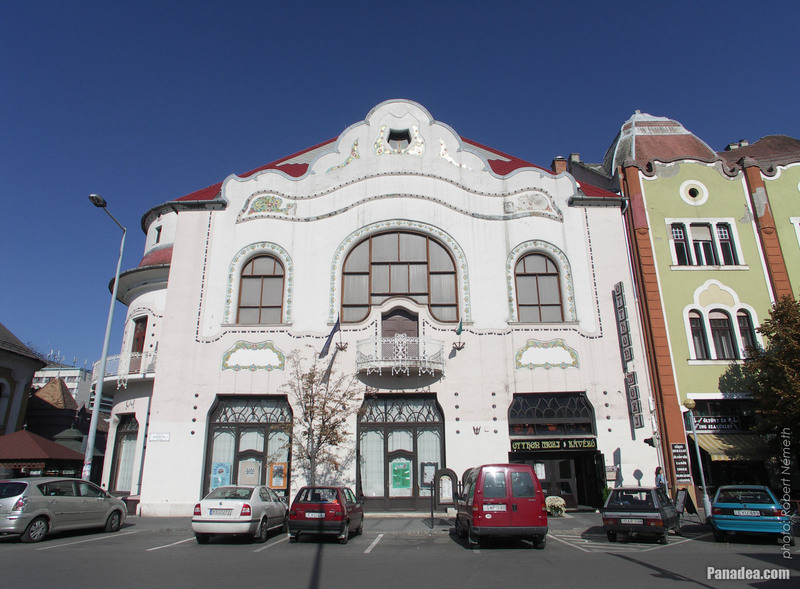 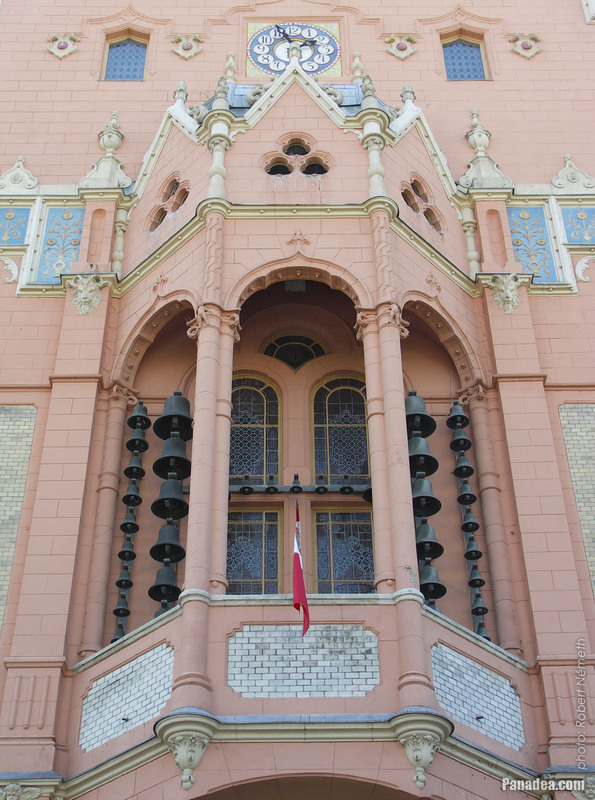 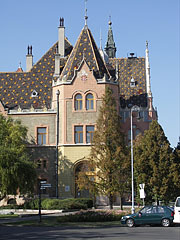 It was built in 1906-1907, designed by Marcell Komor and Dezső Jakab. 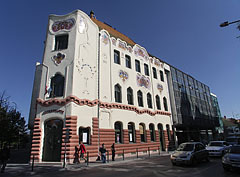 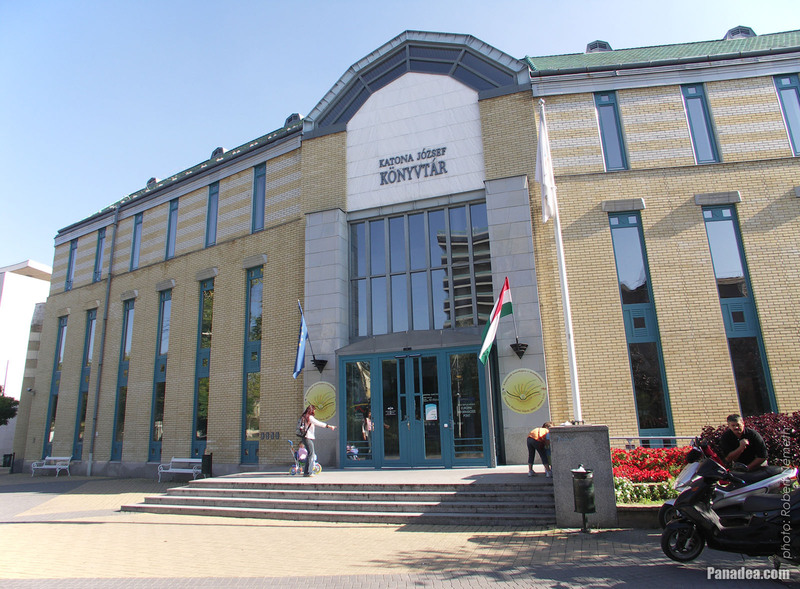 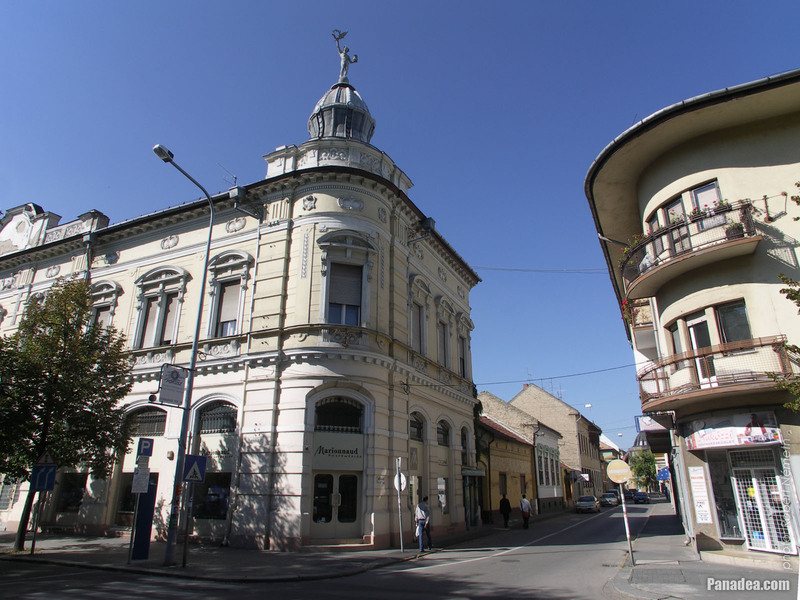 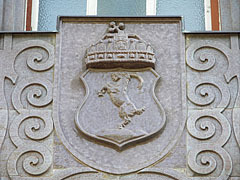 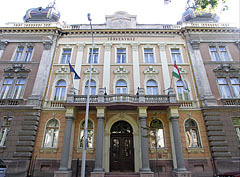 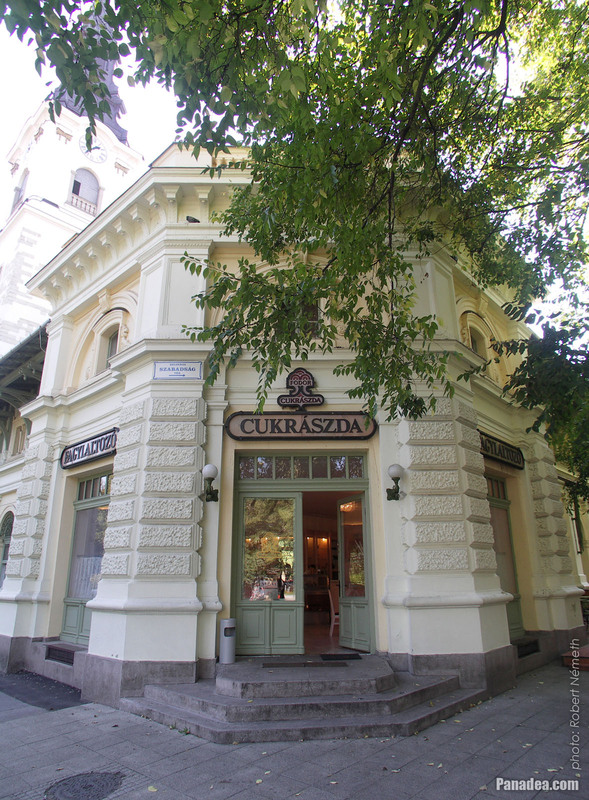 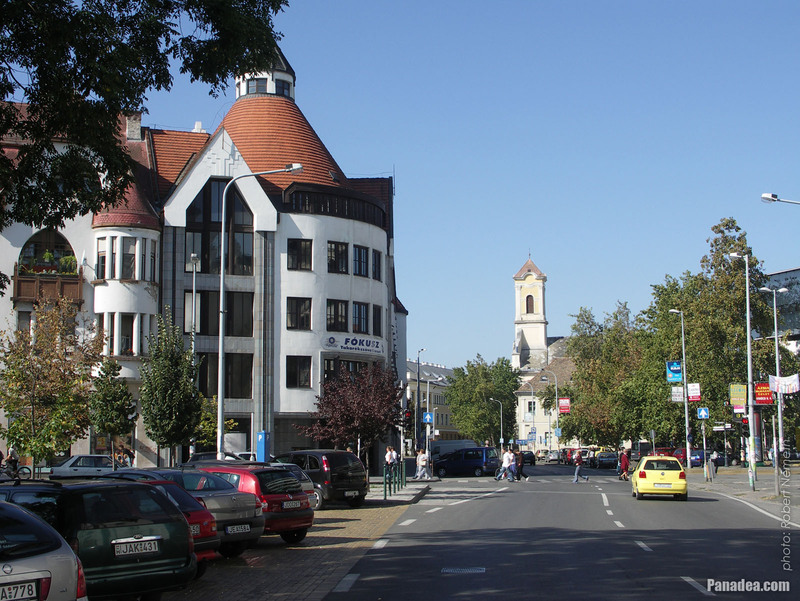 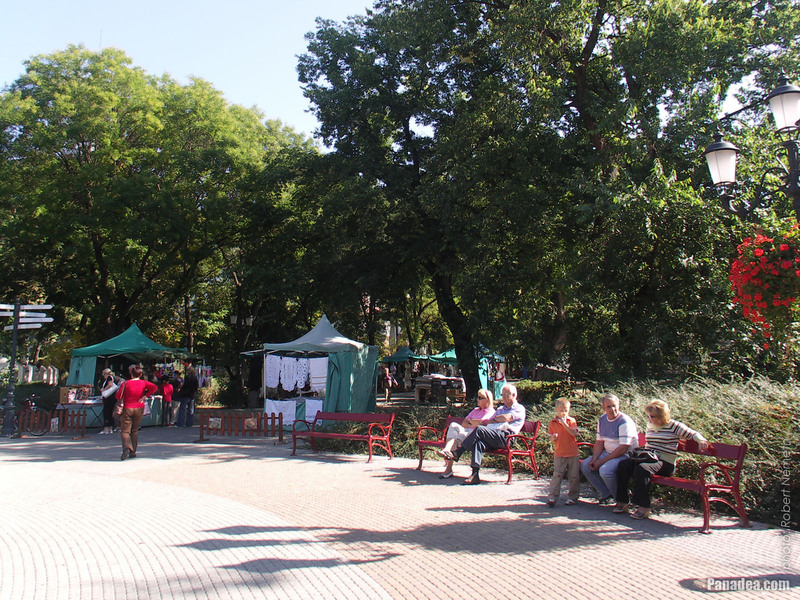 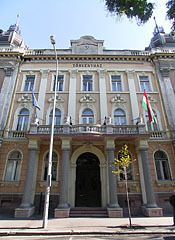 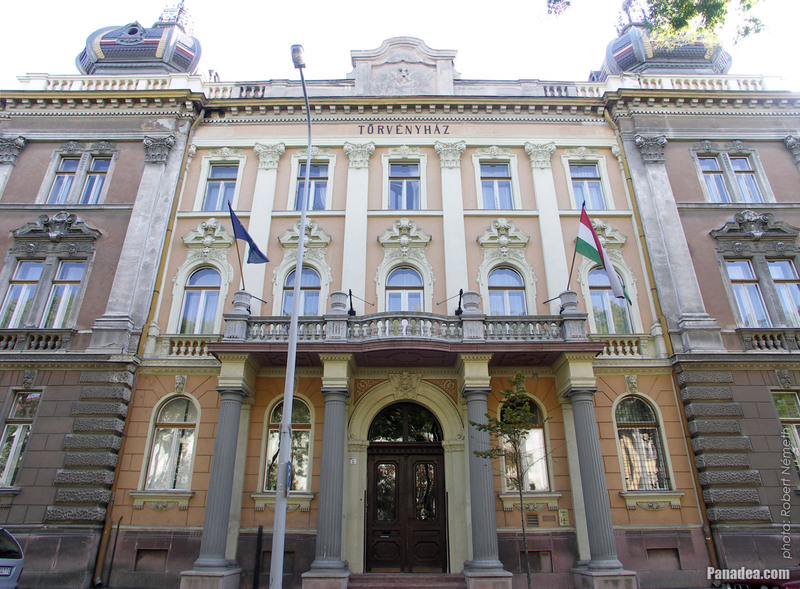 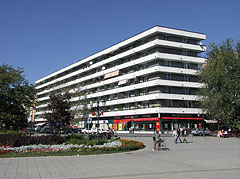 For a while it was an "úttörőház" (pioneer centre), and during the World Wars it functioned as a military accommodation and Soviet officers' club. 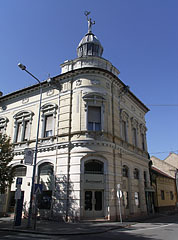 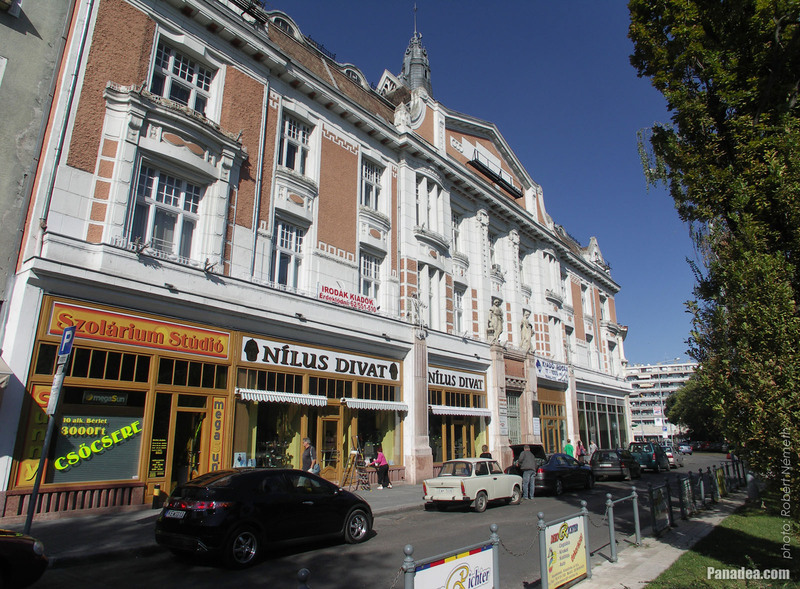 Built in 1904, currently there are shops and apartments are inside it. 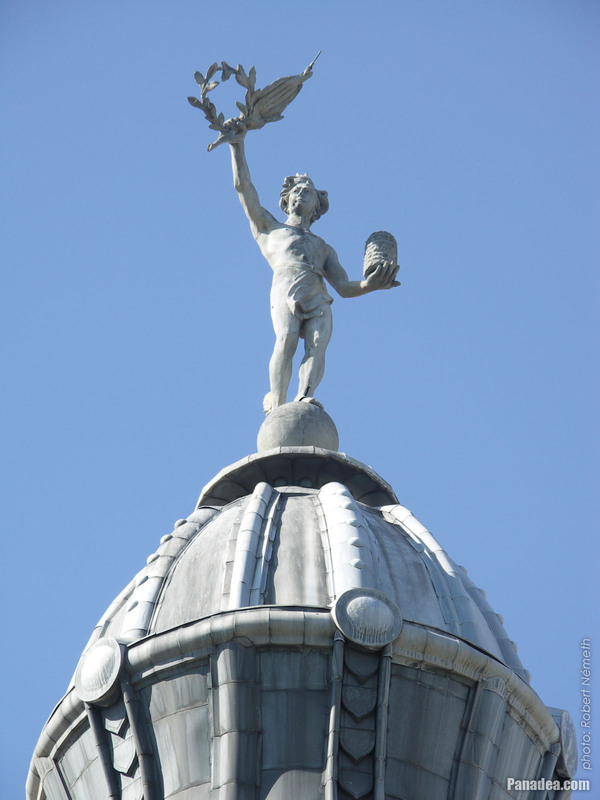 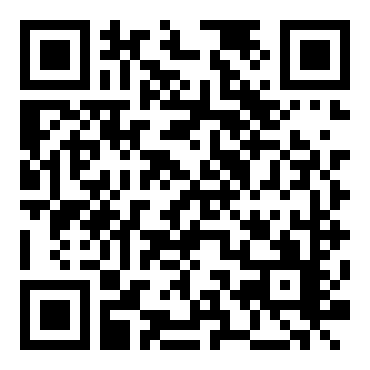 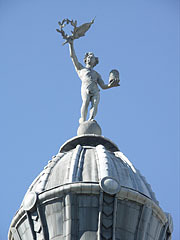 In this context the beehive in the hand of the statue symbolizes the banking gain. 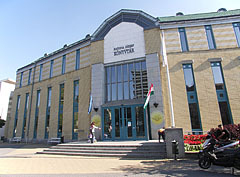 The community center was opened in 1975. 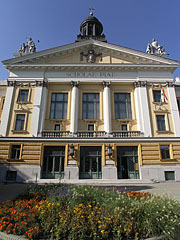 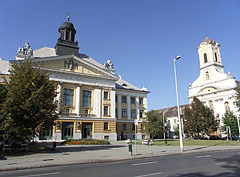 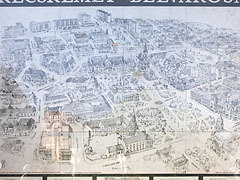 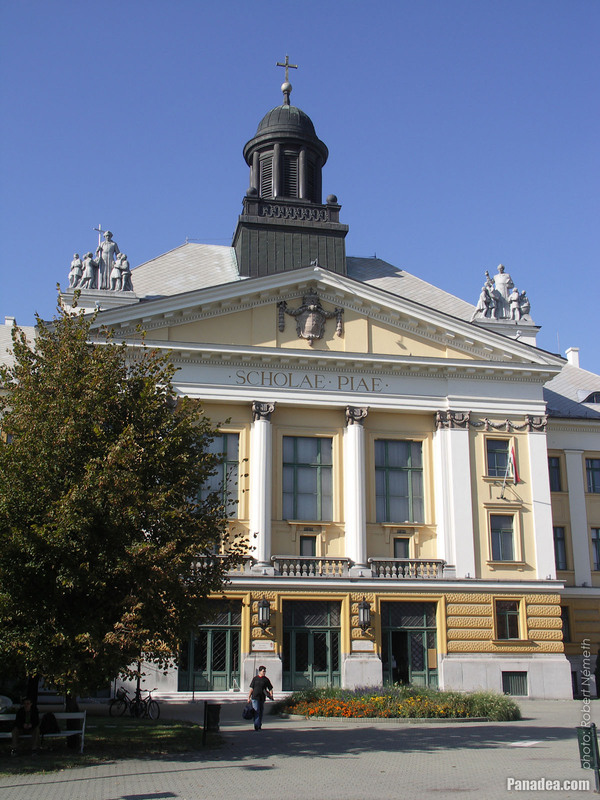 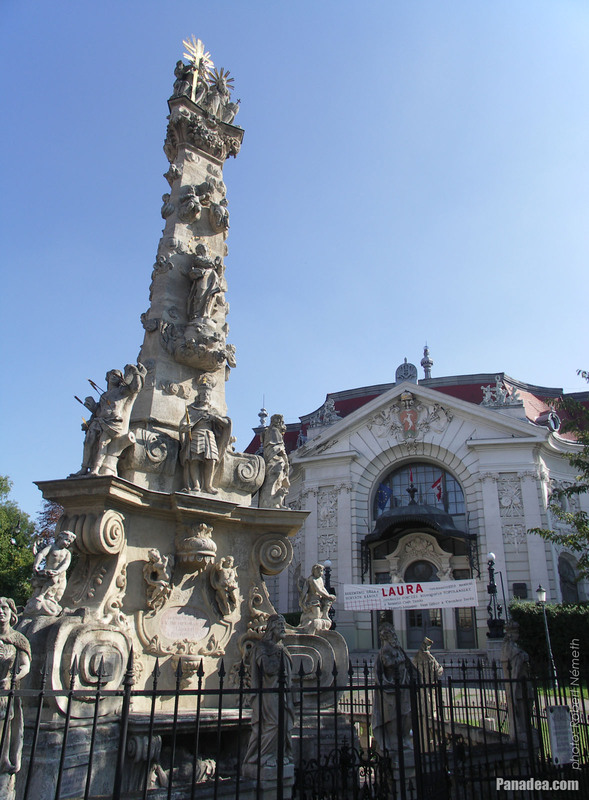 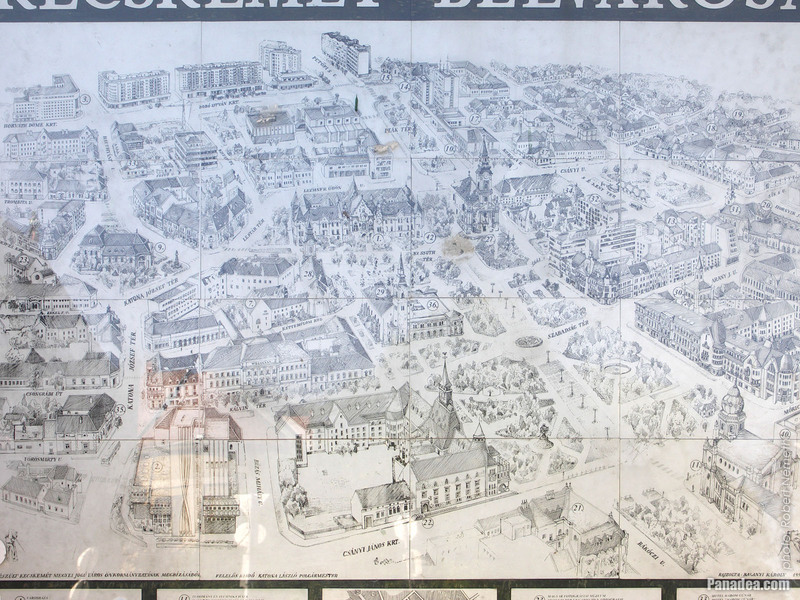 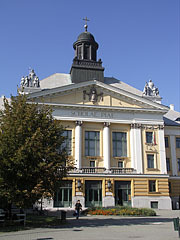 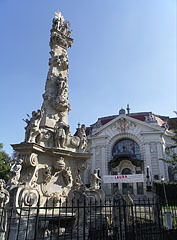 The first theater of Kecskemét was roughly at this location, between 1833 and 1868. 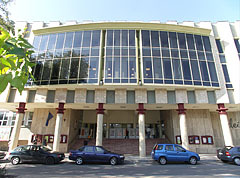 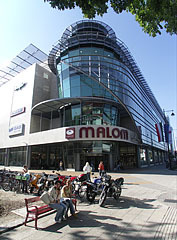 The modern building was built between 1993-1996. 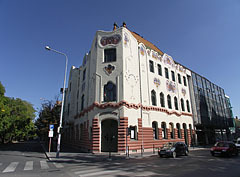 The building was renovated between 2002-2004, then in 2006 it was rewarded with the prestigious EUROPA NOSTRA architectural award. 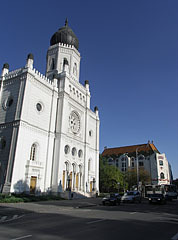 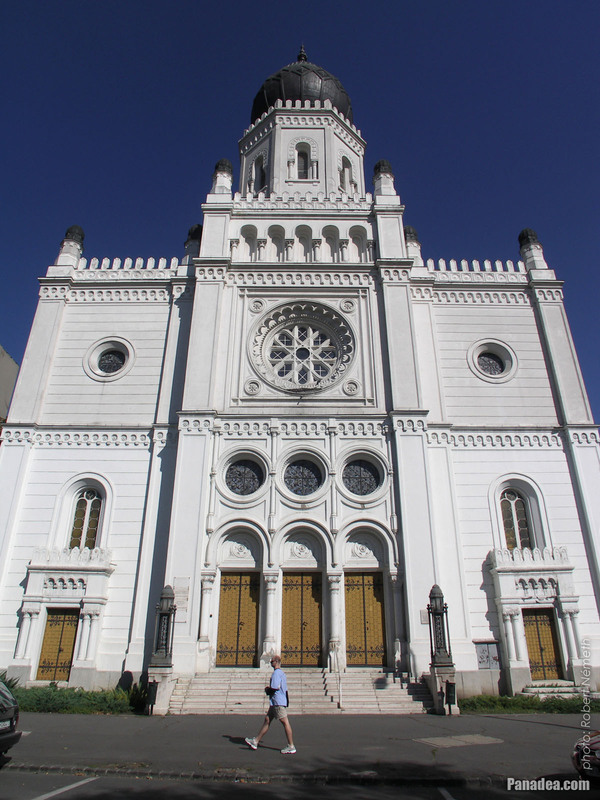 This is the largest Christian church in the city and the region as well. 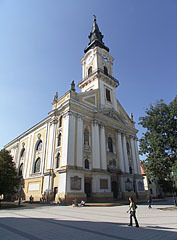 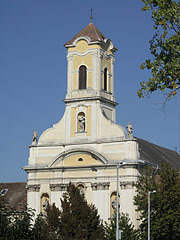 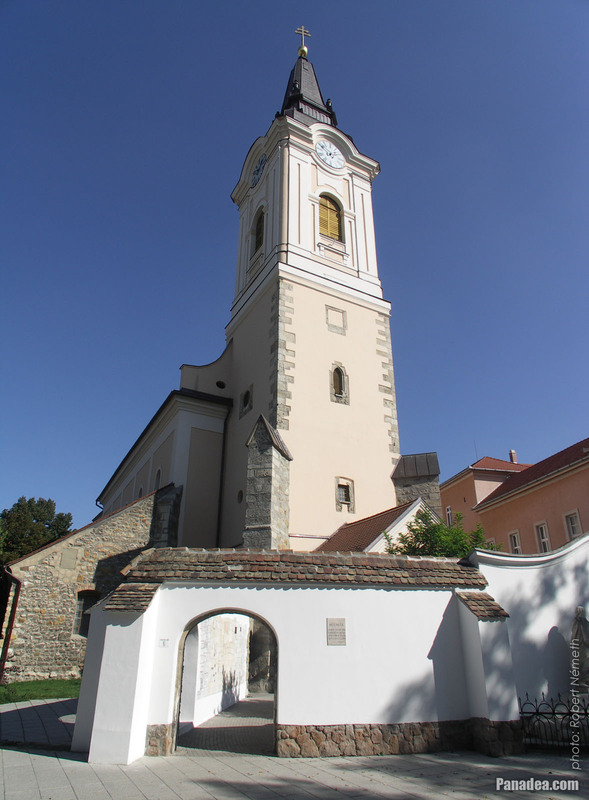 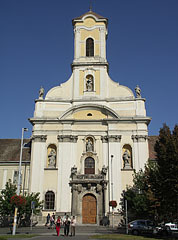 The unique three-storey high altar of the church was brought here from the Felvidék (or Upper Hungary, the historical name of the current Slovakia).